The holiday shopping season is here, and we’ve put together some shopping inspiration by assembling a list of gift ideas for you to put under your tree. The hot trend in holiday attire right now is of course the “ugly” sweater and BoxLunch has exactly what you need if you’re looking to pick one up as a holiday gift. We’ve assembled a list of some of their best “ugly” holiday sweaters. 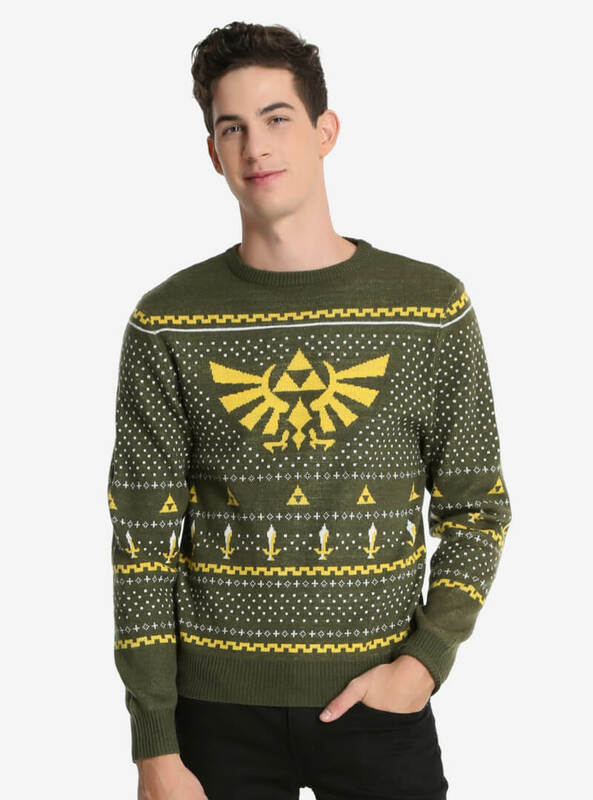 Friends don’t lie, but maybe you don’t have to explain how “ugly” their sweater is. 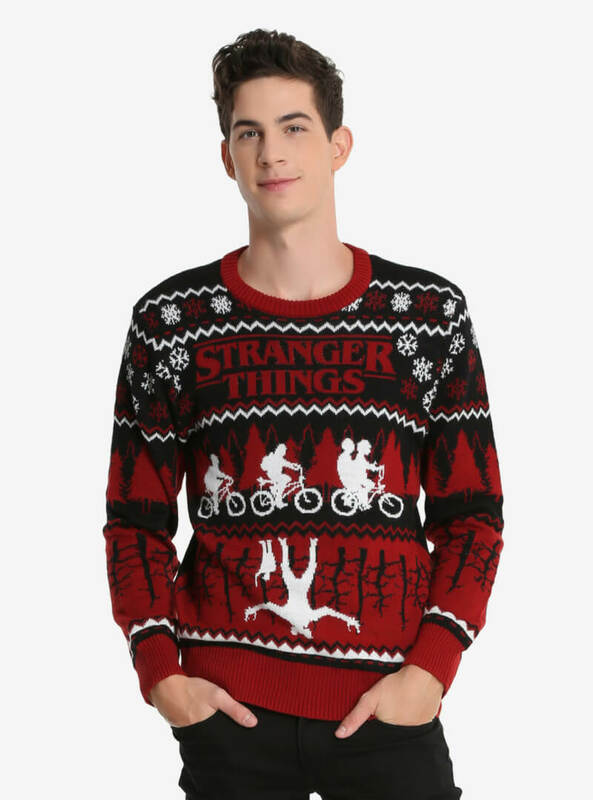 This Stranger Things sweater ($59.90) features the show’s logo as well as the heroes riding their bikes while the demogorgon lurks in the upside down. Join the resistance with this BB-8 sweater ($47.92). Featuring the lovable droid, the Rebel emblem and the Millennium Falcon, this sweater is all you need to ensure that the force will be with you this holiday season. 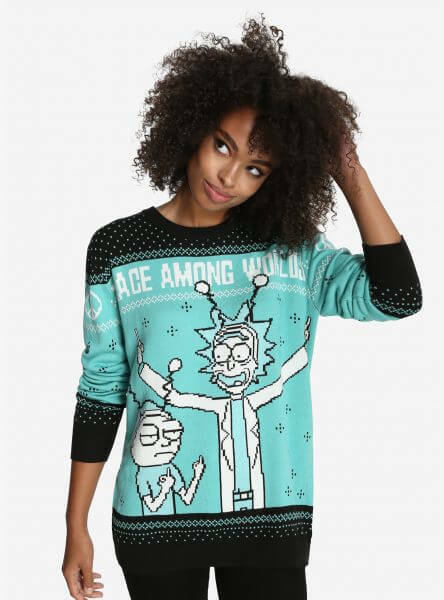 Help spread peace among worlds with this Rick and Morty sweater ($47.92). Featuring the wildly popular characters spreading good will with a… friendly gesture, this sweater will put everyone around you in the holiday spirit. 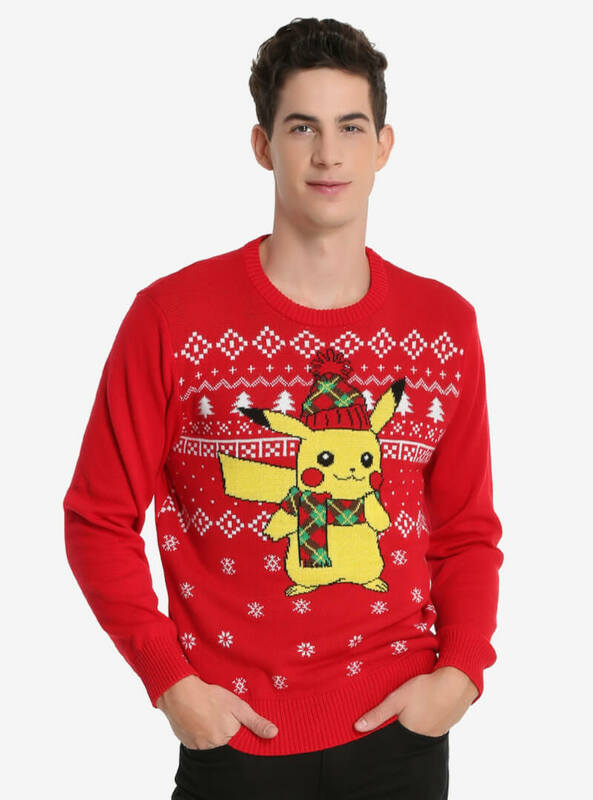 You can choose this Pikachu sweater ($47.92) for your favorite Pokemon master. Pikachu is known for wearing many hats, and in this case he’s ready for winter with his plaid hat and scarf. It’s dangerous to go alone, take this! The “Legend of Zelda” franchise is one of the most popular in the history of video games. You’re bound to know someone who is a big fan of Link and his adventures and this Zelda Sweater ($47.92) is the perfect gift for them! BoxLunch has everything you need when you’re shopping for your favorite geeks. 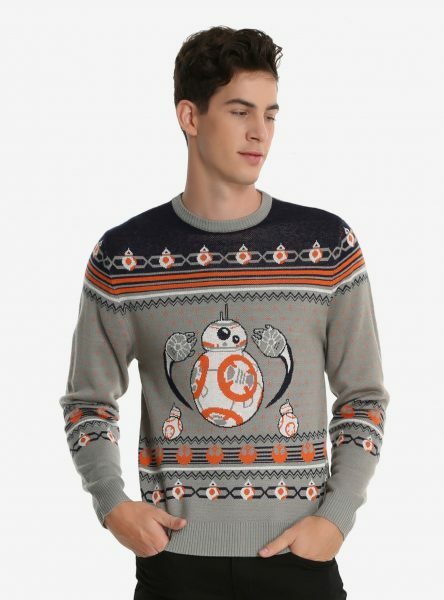 If an “ugly” sweater isn’t quite what you’re looking for, check out the rest of their selection at BoxLunch.com.